Jd 2 series, kubota bx 28 series not sure of the kubota numbers if you have a ranch king nearby they have nice tractors. thanks, the hunt will start! My son just bought a new to him house with a large shop. He needs a lawn mower,snowblower and something capable of moving engines around, installing,removing! He builds/ repairs both custom and oem trucks and cars! I told him to buy a forklift but he's determined he wants one machine to do it all and not have a lot of equipment laying around!I think he's going about it wrong,but what do I know I've only been doing it for 40yrs. For 1000lb + lift capacity you will need a Compact or Economy Tractor. Massey 1728E. New Holland TD29 something in that range. The SCUT sized like my GC1710 has 700-800lb lift, which is plenty fine for most road vehicle motors. Now that is a loaded question! There's a substantial difference between capability and safe working load capacity. When you say "lift engines 1000lbs at least 4'", do you mean to the bottom of the oil pan, or to the height of the arms? It makes a big difference. If that type of lift is to be done on a more or less regular basis, you need a medium to large CUT. If it's for a rare use, a heavy GT will sometimes suffice with the right loader and attachment, considerable care, and dependent on other factors. Note that a GT/FEL does not have a lot of reach in front of the tractor, and thousand pound payloads should only be transported on a hard, level surface such as asphalt. The load on the front tires will be in excess of 2500 lb, well above their load rating. The steering linkages are subject to a lot of stress. I have transported a 1250 lb payload with my MF1655 on an asphalt driveway, but it was a nerve wracking experience. The arms were at about 4' above grade and the payload was slung under the bucket and about 4" above grade. The payload was a new metal lathe in a crate and was a one time lift. The loader had the capability to lift it to the top, but safety for the equipment, both tractor and payload, was of primary concern. A SCUT is not capable of a 1000 lb lift to 4' elevation. If he has a large shop and expects to be pulling heavy motors on a regular basis, he would probably be better off investing in a dedicated engine hoist and/or overhead gantry system. A tractor that can lift 1/2 ton payloads safely likely will not make for the best lawnmower/snowblower. That right there, the right tool for the right job. If his shop has a finished floor, then engine hoist ahoy. If it not finished and he doesn’t plan on finishing it, then an overhead set up for a chainfall or electric hoist on an ibeam is the way to go. You could build a sliding gantry hoist (overhead crane) thru the whole shop for what a CUT with that lifting capacity would cost. Plenty of room for a belly mower too. thanks for all the response, I'm going to let him read these posts and there pretty much what I've been telling him,but Dads know nothing! there's a nice recently certified Ford/Sellick yard fork lift #8000 that's within his price range and worry about finding grass/snow machine later. We do some inboard boat work as well and I know a loader won't do the job, usually use a backhoe for the lift height/reach! I know we could put a selfpowered blower on the forklift quite easily! I'm not showing him that,He'd be all over it and he would put a mower on it just to prove he can! I would second the choice of a hoist. Actually a real space saver as it can be rolled back out of the way. Can be used in conjugation with a lift, do all the underneath unhooking, then lower and roll hoist over. A fixed spot hoist or chainfall works but of course then have to be able to roll out vehicle if needing to do a second at same time. The rolling crane is much more maneuverable than trying to get a tractor or forklift into place and more economical space wise and I think a lot safer. Easier to use for a person doing the job alone. I This is just for reference from HF at $600 (w/coupon) There are others out there at varying price points. Just about any brand (JD, Kubota, MF, Kioti, etc.) in the CUT class should work. My SCUT will only lift about 675 lbs, but that's with a loader bucket that can't be removed. It you get a CUT with a universal quick attach loader, then you can remove the bucket and gain more lift capacity. QA forks weigh less than a bucket. And a CUT will take a mid-mount or rear PTO mower. Remember we're talking about height here too. A loader that will lift 600 pounds from the ground probably won't from the 3-4' you'd need to get over a fender. And I doubt mine would have the forward reach to even get into the center of an engine compartment before the grille guard touched the fender. If it did, being that far forward would also reduce capacity. A hoist is the only tool to even think about for this. The foldable engine hoists come in a 2 ton version for a couple of hundred dollars. L2800 Kubota was just high enough for MOST inboard/outboard engine plucking I’ve done. Would also do the other aforementioned tasks very nicely. My Massey GC2300 didn’t reach high enough or far enough to get an engine into a boat. The GC2300 could get an engine high enough to get it into a vehicle, though. It had all it could do to lift a MerCruiser 4.3 with manifolds into the back of an F150 4x4 - but it did it. If it had more ballast it would have been better. It had a rear bagger, and I just threw my stash of suitcase weights (45x4 & 25x6) into the bags. Remember, you need a FEL with long enough arms and a high enough reach to get the bottom of the engine high enough to place in whatever your tallest vehicle engine bay will be. 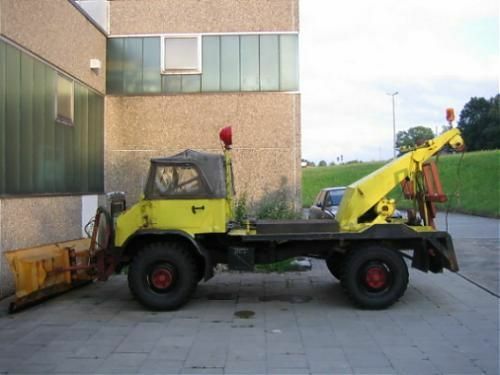 So height of the engine, (engine lift rings on top of the engine will add even more height requirement), sling and anything else need to be factored in...I would guess you need something like my JD 4720 with 400X loader for that kind of height/ lift capacity. IMHO, you are looking at a CUT-sized tractor. Also, if you use loader forks, remember, the farther out you get, the more your lift capacity decreases...might need rear ballast, too. Good luck!